You must make reservations at least 5 minutes in advance of the time at Piccola Italia. Chef Brian Gualtieri and his team will redefine your event expectations by fusing classic Italian dishes with fresh Mediterranean flavors to create innovative menus customized specifically for you and your event guests. Piccola Italia’s innovative event team can help with all unique catering needs for an elegant and memorable event. We specialize in weddings, personal and corporate affairs and we can attend to every detail of your entertaining needs. At Piccola Italia, chef and owner Brian Gualtieri offers his unique take on classic Italian dishes, fusing fresh Mediterranean flavors with the traditional regional styles of Italian cooking. Our menu features the highest quality seasonal ingredients and bold flavors. Piccola Italia has received high Zagat ratings year after year and with its elegant full bar with an extensive wine list, patrons will not be disappointed. Always skeptical about eating out on a holiday but Visited this restaurant on Easter Sunday anyway. The food was excellent, the service impeccable as it consistently is! Outstanding meal, perhaps our finest since we moved to New Jersey three years ago. The duck was perfectly done and the finest I've had in a while. 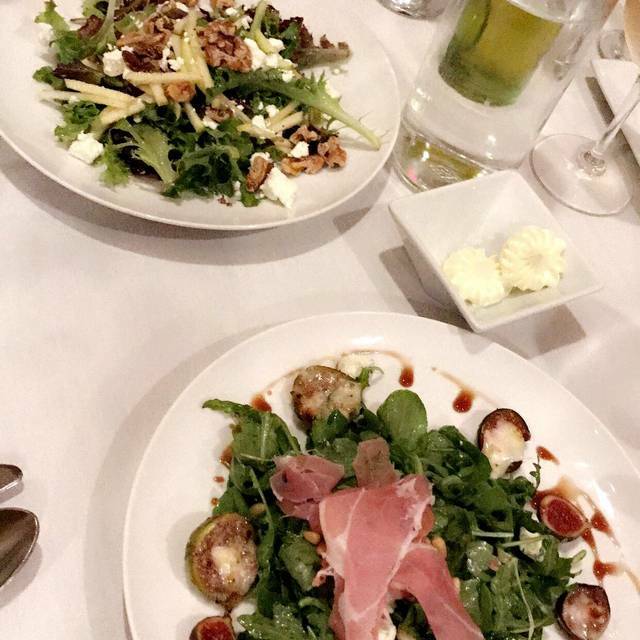 The portions were manageable and the small additions offered by the chef and our servers were very nice touches to an overall delightful evening. We will surely be back. The attention to detail in the presentation of our entrees showed the interest the house had in setting a high standard. What a great restaurant! Everything about it was excellent! Our server Mike was gracious and made sure we would not feel rushed between courses. He took the time to ask us questions before recommending something from the wine list. We chose from the menu-duck potstickers, grilled iceberg wedge, burrata ravioli and the veal ragout. All perfectly cooked and delicious. I picked this place randomly, because I was in the area and it was an unexpected surprise! Never disappoints. Brian and his staff do an exceptional job. Had the filet, it was perfect. Tony at the bar is great. Been a satisfied customer for over 15 years. 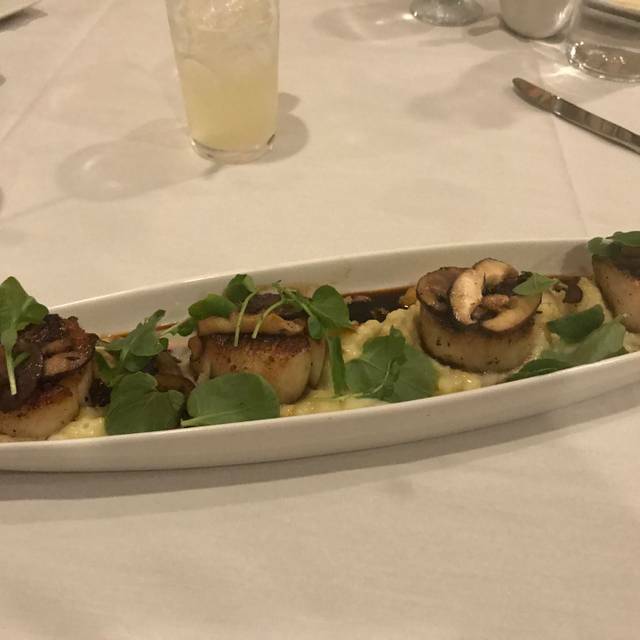 My wife orders the scallops every single time. The wine list over time has grown by pages. Great place. I hate to write this review because I feel like Piccola Italia is a best kept secret in our neighborhood. The food is delicious and the service is exceptional. It's our favorite local spot. Great atmosphere, quiet but not too quiet. All food my party had was excellent. Staff was very friendly and highly professional. A little more expensive than the typical area Italian restaurant, but it was definitely worth it for a bit of a step up. The best place! We love everything about it and we are always happy with ththe service, food, and expeirence! We were greeted and seated right on time. We had a nice round table so we could all chat, we had drinks and a house white wine that was suggested and it was perfect. The onion soup was amazing and i had the Sunday sauce special - just wonderful. The six of us had a great time, the meals were all perfect and the value was very good. We will be back! Everything and Everyone were exceptional-start to finish! Thank you for always making our evenings with you memorable! Food was fantastic and atmosphere very comfortable. The entire staff was very nice. All six of us said we’d ckne back again. The food was excellent. However, the server was curt and had limited social skills until it came to tip time. I was very pleased that the bartender was able to make a "Black Manhattan". The hostess offered a suggestion to my wife regarding a specific wine but it was not available. The full bodied reds that were suggested were not full bodied. I would still recommend the restaurant. Delicious from appetizers through dessert. Loved every second of our meal!! Had a lovely dinner here. Creative options on the menu, food was all done very well and was very tasty. The staff is accommodating and attentive. Easy to have a delicious and quiet meal while catching up with friends or having a chat. Would definitely recommend this restaurant. love the cozy friendly atmosphere. service was outstanding and the food was very good. Enjoyed an exceptional dining experience at Piccola Italia for my wife’s birthday celebration. The food and service could not have been better. We will definitely return. Piccola's was recommended to me, and I had friends from out of town. So I thought I would try it. The menu was diverse and the food was delicious. Our server, Mark, was attentive but not bothersome. Would highly recommend. Very disappointed in my food. My steak dish was horrible, and the pasta dish I had ordered was absolutely tasteless. The only sauce available for the pasta was a watery and tasteless Pomodoro sauce. When asked if they had some kind of marinara sauce, they said no. What kind of Italian restaurant has no decent pasta sauce? We have been here several times. Its our favorite Italian restaurant. We always love the fried oysters appetizer. The specials are always great and a nice change from the regular menu. Food was outstanding!! Very good service!! Food is delicious. We are at the bar. Bartender Tony is awesome. Great food, and a little gem in Ocean Township. The prices were a bit high, but overall, its a fantastic place that will not disappoint. Yum! Nice restaurant in a plaza. Menu is very limited so you would only go there once in a while. Service was perfect. Food prepared to order. My husband tried Piccola Italia after hearing good things about it. I immediately noticed the front door was in sorry need of paint. The restaurant looked tired. It definitely needs a facelift. The food was adequate but not great. The "amuse-bouche" was a sorry sight- a watermelon cube with goat cheese? All in all, I feel the restaurant is over-priced for what it is. Sorry to say we will not be back. Piccolo Italia's Food never disappoints. The fried oysters Rockefeller are an absolute favorite. The Shrimp Scampi is so subtle yet so delicious - we just can't get enough. This is our 4th time there since we discovered this hidden secret - and we'll be back many many more times. The food is very good but the ambiance needs changing. It looks depressing and it's very noisy. And a little too pricy for pasta. 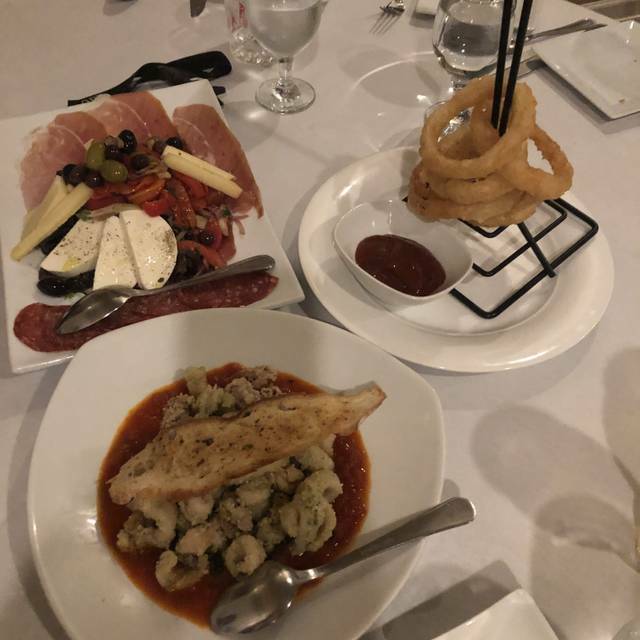 Piccolo Italia is one of the best restaurants in the county. You can always count on excellent service and food prepared with great care. The menu has something for everyone but don't forget to try the specials. I tried the stuffed zucchini flowers over a salad for an appetizer and a homemade pasta with crab and shitake mushrooms. They were both excellent. We always enjoy our dinner here. This time we also took a takeout for someone. The food is always delicious here and drinks are awesome! Our second time there, it was recommended by a friend. Good food, ambiance just ok, service a little slow but it was also filled to capacity. Hostess was less than thrilled to be doing her job. It showed. What an amazing experience! The food, cocktails, service- everything was amazing. I had a 9:15 reservation with a group of 6, which can sometimes mean not so great service; however, Robin, took amazing care of us and made us feel comfortable and in no way rushed. I highly recommend this restaurant!